The peanut, also called earth-nut, has been cultivated for thousands of years. Most recent estimates place its origin in present day Peru. This is another Mesoamerican crop that has its roots in prehistory. As with so many ancient crops, this vegetable has high nutritional value, grows in weather conditions that covers a wide range of climates, and is easy to cultivate, though the timing of the harvest is essential. As with so many other Mesoamerican food crops, the peanut has wide ranging nutrition. The peanut is thought to be at least 7,500 years old. For most of its use in Northern America the peanut has been a forage crop for livestock. The name in Spanish is cacahuate, a Spanish attempt to pronounce the Nahuatl word tlalcacahuatl. In that language the literal translation of this is “coco bean from the earth.” Because the raw cocoa bean looks very much like a peanut and because the peanut itself grows underground. Since the cocoa bean comes from pods unlike the peanut, this conjugate makes sense. The scientific designation is Arachis hypogaea; Greek for “ancient” + “under the earth.” All indications are that the plant is actually a hybrid of two other plants Arachis duranensis and Arachis ipaensis. The peanut is not actually a nut since it has more than one seed per pod. A typical peanut pod has at least two “nuts” and sometimes as many as four. This makes the peanut a member of the legume family along with beans and peas. Peanut plants are unusual in that they are self-pollinating and the “fruit” is not produced in open air. The flowers, once pollinated, lose their petals and the stem the flower was on droops down toward the soil. 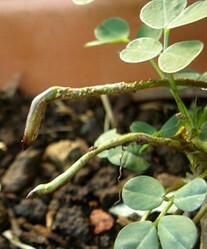 Within days of losing the petals the stem digs into the soil and the peanut begins to form, inches under the ground. As mentioned above the plant was cultivated at least 7,000 years ago. Earliest examples have been found in coastal regions of Peru as well as present day Bolivia and Paraguay. The Peruvian region is the likely birthplace as it has the oldest wild examples found to date. Archaeologists have found peanuts preserved in clay pots and there is even the case of an entire cache of peanuts found buried with Mesoamerican royalty. There have been cases of finding ancient ball courts strewn with peanut shells as if the area had just been vacated after a game. This suggests to researchers that the peanut was eaten as a snack much as it is today. The Moche people, who inhabited the coastal area of Peru, made numerous artifacts in honor of the peanut. These people were adept at making fired pottery from local clays and jewelry from gold and silver. Many of the pottery artifacts are representations of the nut or people honoring the nut. There are even peanut shaped jewelry crafted of gold and silver. More research should determine how the peanut traveled from present day Peru to almost all of south and Central America, but the Spanish discovered the legume in an open air market in Tenochtitlan, present day Mexico. Somehow, likely through trade, the peanut traversed coastal Peru, down through Bolivia and then on to Paraguay. From there it traveled north through Brazil, Venezuela or Columbia, north through Central America and finally into Mexia. Initially the peanut was a garden crop for much of the beginning in North America, as with the potato it was used as animal feed (primarily for pigs) until the 1930s. At some point, the United States Department of Agriculture (USDA) determined that the cotton crop in southern states was depleting the soil of nitrogen. This would mean an eventual end to cotton without some form of intervention. The peanut, being a nitrogen fixer, was deemed a perfect rotational crop to cotton. To that end the USDA initiated a program to support agricultural production and consumption of peanuts. The USDA contracted a number of botanists to come up with uses for the peanut and this is where George Washington Carver came in. Carver came up with a wide variety of uses for the legume; some as food and others as replacements for dyes, cosmetics, paints, varnish, lubricating oil, leather treatment, furniture polish, insecticides, fuel, and even in the manufacture of nitroglycerin. These uses remain popular to this day. 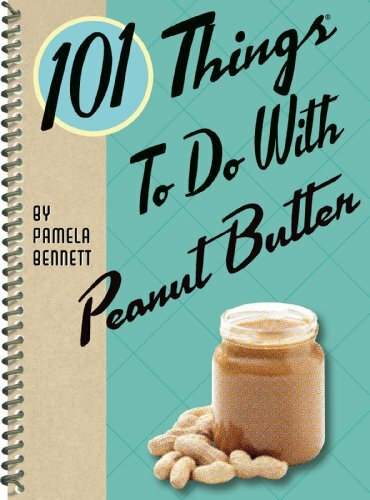 Carver published forty-four no-nonsense bulletins from the Tuskegee Collage for farmers, which included one hundred-five food dishes and roughly one hundred commercial farm product recipes based on the peanut. There are now four basic cultivar of peanut which include the Spanish, Valencia, Runner, and Virginia groups. The peanut is a primary ingredient in “Plumpy Nut,” a World Health Organization food developed to fight severe, acute malnutrition. This famine relief product has a two year shelf-life and does not require cooking or refrigeration. Plumpy-Nut is comprised of peanut paste, sugar, vegetable fat, and skimmed milk powder, enriched with vitamins and minerals. The peanut is used for its oil, as flour, as a snack, and ground into a paste, as a spread. Peanut oil is a popular cooking oil because it imparts little flavor to the food cooked in it; it also has a high cooking temperature making it ideal for deep frying and wok frying. Peanut flour contains no gluten and is high in protein. 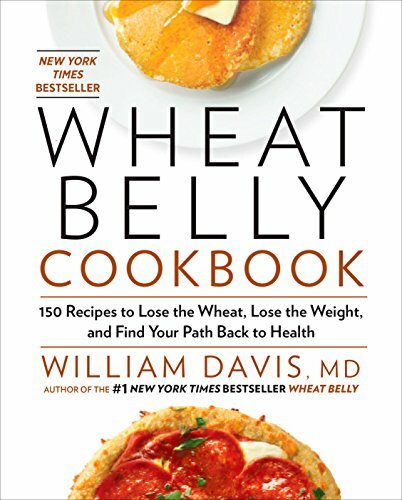 This makes peanut flour a favored substituted for wheat flour and a popular ingredient for chefs looking to add flavor to a dish. Peanuts are a popular and widespread ingredient in candy. Boiled peanuts are popular in Africa, India, China, and the Southern U.S. In South America peanuts are a key ingredient in sauces. Spanish transplants used the peanut as a substitute for almonds and pine-nuts in dishes that used these European nuts. In Israel coated peanuts are a popular snack. In Southeast Asia peanuts are a key ingredient in peppery sauces, as a salad dressing, and as a dipping sauce for grilled meat kabobs. In West Africa the peanut is a popular sauce base for chicken dishes and is also served with onions, garlic, and carrots. As a food peanuts are high in protein niacin, folate, Vitamin E, magnesium, phosphorus, and coenzyme Q10; an antioxidant also found in fish, soybeans, and spinach. China is the number one producer of peanuts followed by India and then the U.S. Peanuts are susceptible to mold. The particular molds affecting peanuts are Aspergillus flavus and Aspergillus pestis and these two fungi produce a carcinogenic compound called aflatoxin. Aflatoxin has been found to cause liver cancer in rats, though humans seem to be less susceptible. For this reason the USDA has standards for detecting this mold in peanuts. Peanuts must be tested prior to any use or shipment outside the U.S. Testing for this toxin is mandatory. Peanuts also produce two compounds identified as allergens. These compounds are referred to as Ara h2 and Ara h1 both these compounds are referred to as glycoprotein. These two proteins combined can make up 12% ~ 16% of the total protein contained in peanut. These allergens are known to produce anaphylactic shock in those sensitive to this compound. Other plants containing similar glycol (sugar) proteins include walnut, lintel, pea, hazel, sesame, and cashew. Peanut allergies often start in early childhood (roughly 24 months) and can be a lifelong problem. Roughly a quarter of those sensitive to these allergens outgrow that sensitivity in adulthood. The proteins themselves can be reduced to some extent with boiling or frying. Roasting seems to increase the presence of these compounds. Recent studies suggest that reaction can be reduced in some by introducing small amounts of peanut powder and gradually increasing that amount over time. 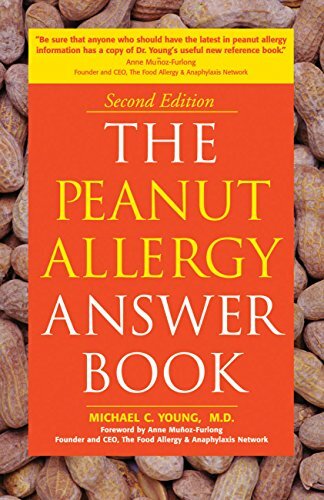 In controlled tests, 70% of those in the study group had reduced reaction to the peanut allergens with about 60% becoming completely immune to these proteins. Other studies suggest that these allergic reactions may be the result of reduced exposure to other allergens in the environment. 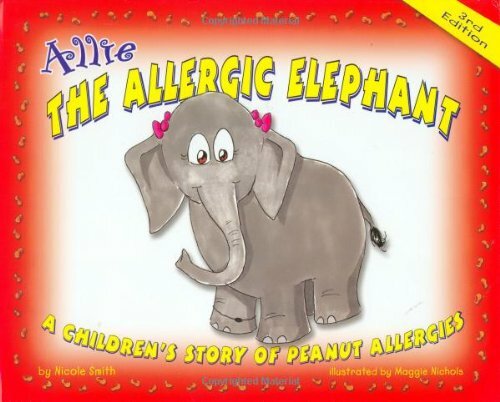 Statistics suggest that peanut allergies are much more common in children of parents with greater wealth. This suggests that the children with peanut allergies may have a reduced exposure to infectious agents, symbiotic microorganisms, and/or parasites. It has also been noted that families with many siblings and families with pets (dogs or cats) have a much greater chance of avoiding peanut allergies. I didn't realize we've only been eating peanuts since the 1930's. Fascinating! Thank you, Mira, for reading it. This was such an interesting article! Thank you for taking the time to write it!